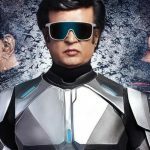 2.0 9th Day Collection: Hindi version Crosses 144 Crores Total by 2nd Friday! On an excellent note, Indian cinema’s biggest movie 2.0 has passed the 8-days extended first week and become the biggest grosser of Akshay Kumar’s career with its Hindi version only. The sci-fi action thriller is now running in the second week and still has a very good hold over the audience nationwide. 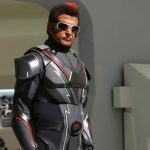 Starring superstar Rajinikanth along with Akshay, 2.0 made a solid impact on viewers with its spectacular VFX and relevant strong. It has received mostly positive reviews from the critics as well as the audience and gained a strong word of mouth across the globe. After the tremendous start, S.Shankar’s directorial maintained a solid pace throughout and did the business of 139.75 crores from its 4000+ Hindi screens in the opening week, that included 97.25 crores in the 4-days weekend and 42.50 crores on weekdays. 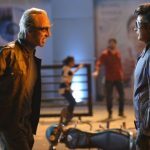 Now 2.0 has entered in the second weekend and managed to remain good despite a considerable drop in footfalls. On 2nd Friday, it faced a drop of 24.52% than the previous day and minted the amount of 5.85 crores. After 9 days, the total collection of its Hindi version has become 145.60 crores at the domestic box office. Including all the versions- Hindi, Tamil & Telugu, Lyca Productions’ presentation raked the business of 325 crores in the first week with 234 crores in the weekend and 91 crores on weekdays. On 2nd Friday, the movie collected 10 crores and raised 9 days total collection to 335 crores nett (445 crores gross). From the overseas market, 2.0 has grossed the business of approx. 131 crores, with which its worldwide gross collection has become 576 crores within 9 days of release.